Beneficence’s follow up to last year’s slept on “Sidewalk Science” drops today on Ill Adrenaline Records. 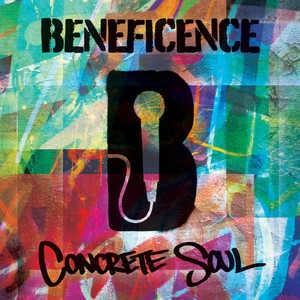 “Concrete Soul” features production from Buckwild, Da Beatminerz, K-Def, Madsol-Desar, Panik, Gensu Dean, Confidence, 12 Finger Dan and 6th Sense among others. In addition, “Concrete Soul” boasts guest bars from Roc Marciano, AG (DITC), Billy Danze (M.O.P. ), Masta Ace, Chubb Rock, Grap Luva & Rob-O (of InI), El Da Sensei (of Artifacts), Finsta, Herb McGruff and many more. You can cop this album right now from iTunes, Amazon, Fat Beats and UGHH. Don’t sleep on it! This entry was posted on November 13, 2012 by producersiknow. It was filed under DON'T SLEEP, Ill Adrenaline Records .